These Terms govern how claims you and UpChoose have against each other can be brought and will require you to submit claims you have against UpChoose to binding and final arbitration on an individual basis, not as a plaintiff or class member in any class, group or representative action or proceeding. If you do not agree to be bound by these Terms, you may not use or access the Services or purchase any of the offered products. We may revise these Terms from time to time, and will always post the most current version on our website. At our discretion, we may also notify you of certain changes by sending you an email to the email address associated with your account. You are responsible for providing us with your current email address, which you may do when you create an account, and you may update it by modifying the information when logged in to your account. For existing users of the Services, any changes to these Terms will be effective thirty (30) calendar days following our posting of the changes on our Services. These changes will be effective immediately for new users of the Services. Continued use of the Services, including purchasing products from us, following such changes will indicate your acknowledgement of such changes and agreement to be bound by the terms and conditions of such changes. UpChoose is a company that designs products and services that intentionally promote and accelerate the transition to mindful and sustainable consumption. UpChoose is a service launched by UpChoose that offers children clothing at each phase of a child’s growth. 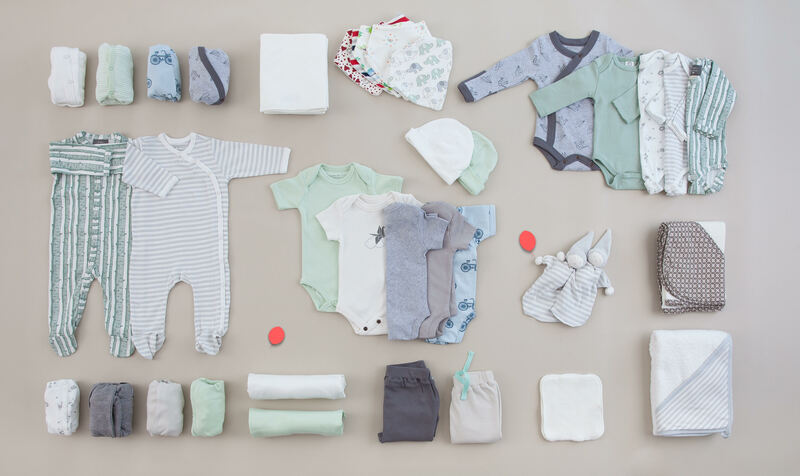 We offer UpChoose sets, which contain a combination of garments, accessories, and other items such as blankets and towels for children, starting with newborns. When you visit the UpChoose website, you can see what a UpChoose set contains and you can create an account. There is no obligation to purchase anything after registering. You can select options such as the style and size of the UpChoose set you want to purchase. After proceeding with the transaction, you will be charged and we will ship the UpChoose set to you. When your child outgrows the size of the UpChoose set you received, you will be able to resell it through our platform and choose to receive cash back or credit towards the purchase of the next UpChoose set. You are hereby granted a non-transferable, non-sublicenseable, limited, revocable, right and license to access and make use of the Website for your own exclusive benefit and solely for the purposes intended by the Website ("License"). The scope of your License right and use of the Website's facilities is determined by the membership level for which you have registered. If it is intended that the Website and Information contained therein be used by users (whether persons or entity) other than you, you will require a separate License for each such said user. In order to use our Services, you must register an account with UpChoose directly or through a third party service (a "TPS") such as Facebook. By enabling TPS access, you are allowing us to pass your login information to these service providers for this purpose. In addition, you are allowing us to access, make available, and store any information, content, or other materials that you have provided to or stored in your TPS account. You can revoke our access to any TPS at any time by disconnecting your TPS account via your UpChoose account. Please remember that the manner in which a TPS uses, stores and discloses your information is governed solely by the policies of such TPS and UpChoose shall have no liability or responsibility for the privacy practices or other actions of any TPS that may be enabled within the Service. The Services are not targeted towards, nor intended for use by, anyone under the age of 13. For example, UpChoose does sell products for children, but it sells them to adults, who can purchase with a credit card or other permitted payment method. If you are under the legal age of majority in your jurisdiction (usually 18), you may use the Services only with involvement of a parent or guardian. By using the Services, you represent and warrant that you are 13 years of age or older. If you are not at least 13 years of age, do not access, use or register for an account on the Services. In addition, you may not make a purchase from our Sites unless you are at least 18 years of age. You also represent and warrant that you (a) have not previously been suspended or removed from the Service; (b) do not have more than one account; and (c) that you have full power and authority to enter into these Terms and in doing so will not violate any other agreement to which you are a party. You are responsible for maintaining the confidentiality of your account and password and for restricting access to your computer, and you agree to accept responsibility for all activities that occur under your account or password. UpChoose reserves the right to refuse service, terminate accounts, remove or edit content, or cancel orders in its sole discretion. No agency, partnership, joint venture, employee-employer or franchiser-franchisee relationship is intended or created under these Terms or your use of the Services. By creating an account, you agree that you may receive communications from UpChoose, such as newsletters, promotions, special offers, and account reminders and updates. You also understand that you can remove yourself from these communications by clicking the "Unsubscribe" link in the footer of the actual email. While we attempt to be as accurate as possible, UpChoose does not warrant that product descriptions or other content of any Services is accurate, complete, reliable, current, or error-free. We have made every effort to display as accurately as possible the colors and styles of our products. We cannot guarantee that your computer monitor's display of any color or style will be accurate. If a product offered by UpChoose is not as described, your sole remedy is to return it in unused condition. You have 14 days after receiving your order to decide if you want to keep or return your items. Returned items will be credited back to you for the full amount of the purchase price in the refund method you choose, either in the form of UpChoose credit or a refund to your original form of payment. If you chose to receive UpChoose credit, then you will not be responsible for the cost of return shipping. If you chose to receive a refund in your original form of payment, a return shipping fee will be deducted from your refund amount. Original shipping charges will not be credited or refunded when returning items. To qualify for UpChoose credit or a refund, all items must be in the same condition in which you received them. You acknowledge and agree that the Services may contain images and descriptions of fashion items and other content (collectively, "Service Content") that is protected by copyright, patent, trademark, trade secret or other proprietary rights and laws. Except as expressly authorized by UpChoose you agree not to modify, copy, frame, scrape, rent, lease, loan, sell, distribute or create derivative works based on the Service or the Service Content, in whole or in part. In connection with your use of the Service you shall not engage in or use any data mining, robots, scraping or similar data gathering or extraction methods. Any use of the Services other than as specifically authorized herein is strictly prohibited. The technology underlying the Services (including the Software distributed in connection therewith) is the property of UpChoose, our affiliates and our partners. You agree not to copy, modify, create a derivative work of, reverse engineer, reverse assemble or otherwise attempt to discover any source code, sell, assign, sublicense, or otherwise transfer any right in the Service (including the Software). Any rights not expressly granted herein are reserved by UpChoose. By using the Services, you may submit various forms of media content and written communications as well as suggestions, ideas, comments, questions, or other information (collectively, "Submissions"), so long as the Submission is not illegal, obscene, threatening, defamatory, invasive of privacy, infringing of intellectual property rights (including publicity rights), or otherwise injurious to third parties or objectionable, and does not consist of or contain software viruses, political campaigning, commercial solicitation, chain letters, mass mailings, or any form of "spam" or unsolicited commercial electronic messages. You may not use a false email address, impersonate any person or entity, or otherwise mislead as to the origin of a card or other content. UpChoose reserves the right to remove or edit such Submission, but does not regularly review posted Submissions. You acknowledge and agree that any Submissions provided by you to us are non-confidential and shall become the sole property of UpChoose. UpChoose shall own exclusive rights, including all intellectual property rights, and shall be entitled to the unrestricted use and dissemination of these Submissions for any purpose, commercial or otherwise, without acknowledgment or compensation to you. If UpChoose does include Your Content, or any part thereof, you are deemed to have granted UpChoose a nonexclusive, royalty-free, perpetual, unlimited, irrevocable, and fully assignable and sublicenseable right and license to use, reproduce, modify, adapt, publish, translate, create derivative works from Your Content, and distribute and display Your Content throughout the world on any media. You undertake that Your Content does not infringe on any third party's intellectual property rights (including without limitation, such party's patents, copyright, trademarks, trade secrets and/or any such other similar rights), or is otherwise injurious to third parties or objectionable and does not consist of or contain software viruses. You will indemnify UpChoose, its shareholders, officers and/or employees and consultants for all claims and/or action made or brought by a third party resulting from Company use of Your Content. You represent and warrant that you own or otherwise control all of the rights to the content that you post; that the content is accurate; that use of the content you supply does not violate this policy and will not cause injury to any person or entity; and that you will indemnify UpChoose for all claims resulting from content you supply. UpChoose has the right but not the obligation to monitor and edit or remove any activity or content. UpChoose takes no responsibility and assumes no liability for any content posted by you or any third party. UpChoose, in any event, reserves the right (but not the obligation) to remove or edit Your Content, at its discretion and without requirement of any notice to you. UpChoose reserves the right to, but no obligation to, and may from time to time, monitor any and all data transmitted or received through the Website. UpChoose, at its sole discretion and without further notice to you, may (but is not obligated to) review, censor or prohibit the transmission or receipt of any Information which the UpChoose, deems inappropriate or that violates any term or condition of this Agreement. During monitoring, data may be examined, recorded, copied, and used by UpChoose. Use of the Website by you, authorized or unauthorized, constitutes consent to such foregoing monitoring. When you use our Services, or send e-mails, text messages, and other communications from your desktop or mobile device to us, you are communicating with us electronically. You consent to receive communications from us electronically, such as emails, texts, mobile push notifications, or notices and messages on this site or through the other Services, and you can retain copies of these communications for your records. You agree that all agreements, notices, disclosures, and other communications that we provide to you electronically satisfy any legal requirement that such communications be in writing. use any meta tags or any other "hidden text" utilizing UpChoose name or trademarks or any third party's name or trademarks without the express written consent of UpChoose or the applicable third party. imply affiliation with or endorsement or sponsorship by UpChoose, or cause confusion, mistake, or deception in connection therewith. To the fullest extent permitted by applicable law, you agree to defend, indemnify and hold harmless UpChoose and our subsidiaries and affiliates, and our respective officers, directors, agents, partners, members, employees, independent contractors, service providers and consultants (together with REI, the "UpChoose Parties"), from and against any claims, damages, costs, liabilities and expenses (collectively, "Claims") arising out of or related to (a) your misuse of the Services; (b) any Submissions you post, upload, use, distribute, store or otherwise transmit on or through the Services; (c) your violation of these Terms; and (d) your violation of any rights of another. You agree to promptly notify the UpChoose Parties of any third party claims, cooperate with the UpChoose Parties in defending such claims and pay all fees, costs [including non statutory costs] and expenses associated with defending such claims (including but not limited to attorneys' fees). You further agree that the UpChoose Parties shall have control of the defense or settlement of any third party claims. THE SERVICES AND ALL INFORMATION, CONTENT, MATERIALS, PRODUCTS (INCLUDING SOFTWARE) AND OTHER SERVICES INCLUDED ON OR OTHERWISE MADE AVAILABLE TO YOU THROUGH THE SERVICES ARE PROVIDED BY UPCHOOSE ON AN "AS IS" AND "AS AVAILABLE" BASIS, UNLESS OTHERWISE SPECIFIED IN WRITING. UPCHOOSE MAKES NO REPRESENTATIONS OR WARRANTIES OF ANY KIND, EXPRESS OR IMPLIED, AS TO THE OPERATION OF THE SERVICES, OR THE INFORMATION, CONTENT, MATERIALS, PRODUCTS (INCLUDING SOFTWARE) OR OTHER SERVICES INCLUDED ON OR OTHERWISE MADE AVAILABLE TO YOU THROUGH THE SERVICES, UNLESS OTHERWISE SPECIFIED IN WRITING. TO THE FULL EXTENT PERMISSIBLE BY APPLICABLE LAW, UPCHOOSE DISCLAIMS ALL WARRANTIES, EXPRESS OR IMPLIED, INCLUDING, BUT NOT LIMITED TO, IMPLIED WARRANTIES OF MERCHANTABILITY, FITNESS FOR A PARTICULAR PURPOSE, NONINFRINGEMENT AND ANY AND ALL WARRANTIES ARISING FROM COURSE OF DEALING AND USAGE OF TRADE. UPCHOOSE DOES NOT WARRANT THAT THE SERVICES, INFORMATION, CONTENT, MATERIALS, PRODUCTS (INCLUDING SOFTWARE) OR OTHER SERVICES INCLUDED ON OR OTHERWISE MADE AVAILABLE TO YOU THROUGH THE SERVICES, UPCHOOSE'S SERVERS OR ELECTRONIC COMMUNICATIONS SENT FROM UPCHOOSE ARE FREE OF VIRUSES OR OTHER HARMFUL COMPONENTS. UPCHOOSE IS NOT RESPONSIBLE FOR ANY INDIRECT, INCIDENTAL, OR CONSEQUENTIAL DAMAGES ARISING FROM THE USE OF ANY SERVICE (INCLUDING WITHOUT LIMITATION THE UPCHOOSE BAG), OR FROM ANY INFORMATION, CONTENT, MATERIALS, PRODUCTS (INCLUDING SOFTWARE) OR OTHER SERVICES INCLUDED ON OR OTHERWISE MADE AVAILABLE TO YOU THROUGH ANY SERVICE, UNLESS OTHERWISE SPECIFIED IN WRITING. CERTAIN STATE LAWS DO NOT ALLOW LIMITATIONS ON IMPLIED WARRANTIES OR THE EXCLUSION OR LIMITATION OF CERTAIN DAMAGES. IF THESE LAWS APPLY TO YOU, SOME OR ALL OF THE ABOVE DISCLAIMERS, EXCLUSIONS, OR LIMITATIONS MAY NOT APPLY TO YOU, AND YOU MIGHT HAVE ADDITIONAL RIGHTS. THE ABOVE LIMITATIONS AND EXCLUSIONS ARE ENFORCEABLE UNDER NEW JERSEY LAW. You assume full responsibility for implementing sufficient procedures and checks to satisfy your requirements for the accuracy and suitability of the Website and Information, and for maintaining any means which you may require for the reconstruction of lost data or subsequent manipulations or analyses of the Information provided under this Agreement. YOU AGREE THAT COMPANY, ITS OFFICERS, DIRECTORS, EMPLOYEES, AFFILIATES, AGENTS AND/OR REPRESENTATIVES, SHALL NOT IN ANY EVENT BE LIABLE FOR ANY SPECIAL, INCIDENTAL OR CONSEQUENTIAL DAMAGES ARISING OUT OF THE USE OR INABILITY TO USE THE WEBSITE AND INFORMATION FOR ANY REASON WHATSOEVER. In using the Website you hereby authorize UpChoose to collect personally identifying information and other data about you. You agree that UpChoose can use your personal identifying information, including but not limited to, your IP address, your e-mail address and the scope of business, as well as details regarding a specific transaction which you may be interested in, for statistical, editorial, transactional, promotional, or marketing purposes, unless you expressly request that your information not be used in such manner. Notwithstanding the foregoing, in any event that you register to the Website using your credit card, you hereby unequivocally authorize UpChoose to use and furnish your applicable information to the applicable credit card company. Furthermore, in the event that during your registration process you enter a "Coupon No. ", which you have received from a UpChoose agent and/or a third party acting on its behalf, you hereby unequivocally authorize UpChoose to inform such agent of your registration. UpChoose may place a "cookie" in the browser files of your computer. You agree that this dispute resolution procedure is a condition precedent which must be satisfied prior to initiating any arbitration or filing any claim against the other party. To the extent you cannot resolve any Dispute through the informal dispute resolution procedure described above, A DISPUTE SHALL BE RESOLVED THROUGH BINDING INDIVIDUAL ARBITRATION. Arbitration is a process established by law that allows parties to a transaction to agree to resolve their Disputes by an independent arbitrator, rather than by a judge and jury. In an arbitration, only the arbitrator hears the evidence presented by both sides and makes a decision that is final and binding on the parties. The arbitrator may award damages and provide other relief as provided by law. By agreeing to arbitrate any Disputes with us, you agree to give up your right to go to court to assert or defend your rights under this Agreement and with respect to any Dispute, You and UpChoose expressly delegate to the arbitrator the authority to determine the arbitrability of any Dispute, including the scope, applicability, validity, and enforceability of this arbitration provision. This Arbitration Agreement is intended to require arbitration of every claim or dispute that can lawfully be arbitrated, except for those claims and disputes which by the terms of this Arbitration Agreement are expressly excluded from the requirement to arbitrate. All aspects of the arbitration proceeding, and any ruling, decision, or award by the arbitrator, will be strictly confidential for the benefit of all parties. You may begin an arbitration proceeding by sending a letter requesting arbitration to UpChoose Attn: UpChoose, 156 2nd Street, San Francisco, CA 94105. You agree that the arbitration shall be conducted by the American Arbitration Association ("AAA") pursuant to its Consumer Arbitration Rules ("AAA Rules"), as modified by this Arbitration Agreement. The AAA Rules are available on the AAA's website www.adr.org, or by calling the AAA at (800) 778-7879. In the event the AAA is unavailable or unwilling to hear the Dispute, the parties shall agree to another arbitration provider. Payment of all filing, administration and arbitrator fees will be governed by the AAA's applicable rules. You may choose to have the arbitration conducted by telephone, based on written submissions, or in person in the county where you live or at another mutually agreed location. In lieu of arbitration, either you or UpChoose may bring any individual claim in small claims court consistent with the jurisdictional and dollar limits that may apply, as long as it is brought and maintained as an individual claim. All arbitrations shall proceed on an individual basis, not on a class action or other consolidated basis. The arbitrator is empowered to resolve the Dispute with the same remedies available in court, however, any relief must be individualized to you and shall not be joined with, or otherwise affect, any other Dispute. You and UpChoose agree that each may bring claims against the other in arbitration only in your or their respective individual capacities and in so doing you and UpChoose hereby waive the right to a trial by jury, to assert or participate in a class action lawsuit or class action arbitration (either as a named-plaintiff or class member), and to assert or participate in any joint or consolidated lawsuit or joint or consolidated arbitration of any kind. If a court decides that applicable law precludes enforcement of any of this paragraph's limitations as to a particular cause of action, then that cause of action (and only that cause of action) must remain in court and be severed from any arbitration. With the exception of the Arbitration Agreement, which shall survive the termination of these Terms, these Terms are effective unless and until terminated by either you or UpChoose. You agree that UpChoose, in its sole discretion, may suspend or terminate your account (or any part thereof) or use of the Services at any time. Any suspected fraudulent, abusive or illegal activity that may be grounds for termination of your use of Service, may be referred to appropriate law enforcement authorities. UpChoose may also in its sole discretion and at any time discontinue providing the Services, or any part thereof, with or without notice. You agree that any termination of your access to the Services under any provision of these Terms may be effected without prior notice, and acknowledge and agree that UpChoose may immediately deactivate or delete your account and/or bar any further access to the Service. Further, you agree that UpChoose shall not be liable to you or any third-party for any termination of your access to the Service. UpChoose may terminate this Agreement and the License rights immediately without notice for any of the following reasons:: (a) if you fail to make any payment when due; (b) for any unauthorized access or use by you; (c) if you assign or transfer (or attempt the same) any rights granted to you under this Agreement; (d) if you fail to abide by the rules and regulations relating to the use of, or tamper with or alter any of the Information contained in, or accessed through, the Website; (e) if you transmit or receive any Information using the Website (or cause the same) in violation of this Agreement (UpChoose, at its sole discretion, shall determine whether any information transmitted or received violates this provision); or (f) if you violate any of the other terms and conditions of the Agreement. Termination or cancellation of this Agreement shall not affect any right or relief to which the UpChoose may be entitled, at law or in equity. Upon termination of this Agreement, all rights granted to you will terminate and revert to UpChoose. UpChoose reserves the right to modify the terms and conditions of this Agreement. Such modifications may include, without limitation, changes in prices, implementation of user priorities, implementation of rules for use by you, and discontinuance of functional aspects of the Website. UpChoose may also add, withdraw or modify Services or Information within the Website at any time in its sole discretion. All such modifications shall be displayed online, and such display shall constitute effective notice under this Agreement on the day UpChoose places them on the Website. You agree to review the terms and conditions of this Agreement periodically to be aware of such revisions. These Terms shall be governed by the laws of the State of California without regard to choice of law principles, except for the Arbitration Agreement above, which shall be governed by the Federal Arbitration Act. These Terms are for the benefit of, and will be enforceable by, the parties only and are not intended to confer any right or benefit on any third party or to create any obligations or liability of a party to any such third party. If any provision of the Terms is found to be unenforceable or invalid for any reason, that provision shall be severable, and all other provisions shall remain in full force and effect. You agree that these Terms and all incorporated agreements may be automatically assigned by UpChoose, in our sole discretion. Except as explicitly stated otherwise, any notices to UpChoose shall be given by certified mail, postage prepaid and return receipt requested to UpChoose PBC, 156 2nd Street, San Francisco, CA 94105. Any notices to you shall be provided to you through the Services or given to you at the email address or physical address you provide to UpChoose during the registration process. Headings are for reference purposes only and in no way define, limit, construe or describe the scope or extent of such section. A party's failure to act with respect to a breach by the other party does not constitute a waiver of the party's right to act with respect to subsequent or similar breaches. If there is any conflict between the Agreement and any help text, manuals, or other documents, the Agreement shall govern, whether such other documents are prior to or subsequent to this Agreement, or are signed or acknowledged by any member of the Company parties. If UpChoose takes action (by itself or through its representatives) to enforce any of the provisions of this Agreement, including collection of any amounts due hereunder, and is awarded damages or other relief at law or in equity in the action, UpChoose shall be entitled to recover from you (and you agree to pay), in addition to all sums to which it is entitled or any other relief, at law or in equity, attorney's fees incurred and any costs, including non-statutory costs, of any litigation, or proceeding. To the extent allowed by applicable law, any claims or causes of action arising from or relating to your access and use of the Services or Website contemplated by this Agreement must be instituted within two (2) years from the date upon which such claim or cause arose or was accrued. If you have any questions regarding the Services, please contact us. © 2019 UpChoose PBC. All Rights Reserved. We organize regular informational gatherings with new and experienced parents to tell you more about how we choose healthy clothes for babies and discuss everything related to parenting. We are starting in San Francisco, please see below for our next events and please do join us if you can. Delicious and healthy food will be provided and we will share with you all we learned and we know about transitioning to sustainable consumption. Let your friends and family be part of the solution. Make your gift go a long way. email address This field is required.Incorrect email.